Three creative proposals have received the green light from Your Street, winning a total of EUR 15 000 in project funding. The Your Street Challenge, in partnership with Capital D and Premsela, asked everyday citizens of Eindhoven to use creativity and innovation to improve an aspect of the city’s urban landscape. An overwhelming number of entries were received in answer to the call, with some fantastic creative proposals for applying the six cornerstones of design for social change to the streets of Eindhoven. Generosity: How many people other than you does your design solution affect positively? International excellence and innovation: Does your design solution stand up to and trump similar world-class ideas? Is it new, original and forward thinking? Feasibility: How do you propose to allocate the prize money? Fun: How much pleasure, enjoyment and beauty does your design solution inspire? This project proposes to restore the path structure of the Lightbulbpark. After this former park, situated between the former Philips factories and the train station Eindhoven Beukenlaan, became the property of a developer it turned into a wasteland. The under-utilised train station and the surrounding area are perceived as unpleasant and unsafe. People from the neighbourhood on the other side of the tracks still use the former park to walk their dogs. The designers noticed that the dog owners are unintentionally keeping an eye out and thus contributing to the (feeling of) safety in the area. They also noticed that the paths people walk still follow parts of the original light bulb-shaped path structure. 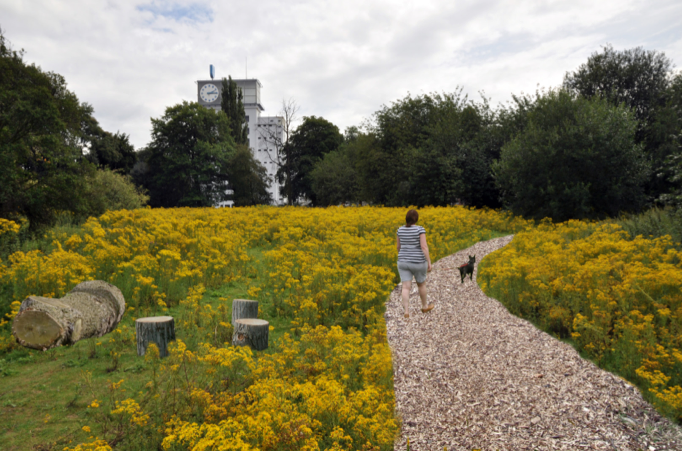 The team proposes restoring the original path structure with woodchip to prevent the overgrowing of grass, while ensuring that the informal and ecological character of the area is maintained. By doing so the team wants to encourage more people to start using the Lightbulbpark again, thus improving (the feeling of) safety in the area. "Het Gloeilampplantsoen is the most concrete and contextual proposal with the clearest benefits. The plan is well presented and thought out. The budget goes directly to the plan and can easily be executed and even finished before the prize giving. The historical and safety elements are good. The concept improves safety on a permanent basis. Further the symbolic value catches imagination. It is a simple small gesture with potentially large and long-lasting effect." 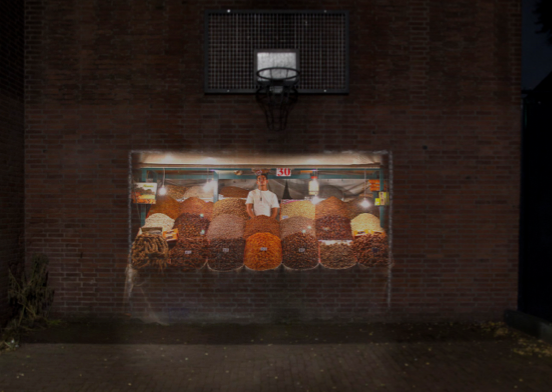 Inspired by food markets that are open late at night around the world, Rubio proposes recreating the ambience of these eateries on walls around Eindhoven. Rubio explains that while he was living in London these spaces became more about the safety, lighting and sense of community that it created, than being places that just served food for him. So rather than actually opening a restaurant, Rubio proposes to project images of vibey eateries onto desolate Eindhoven walls, creating a mock ambience of lighting and safety. 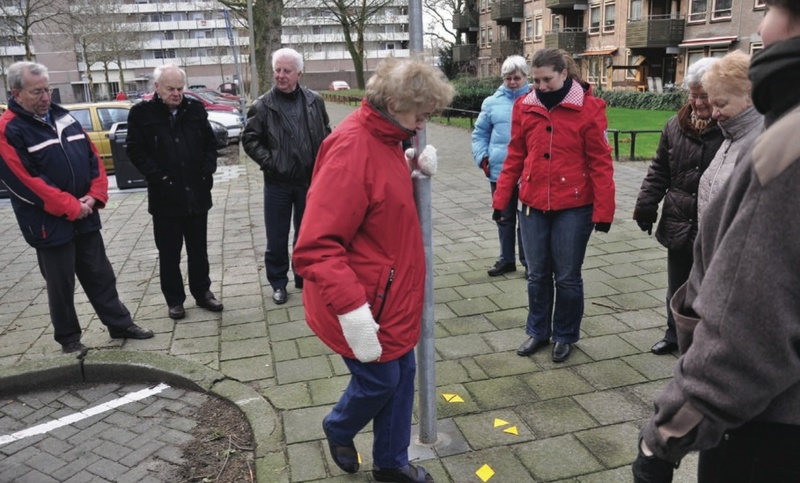 Kwiek is a social involvement and interaction project that encourages the elderly to move… in public spaces. Working with a physiotherapist at old age home, Kollenburg and Wulfften established a need to encourage the elderly to exercise on a daily basis. Furthermore, they wanted to take the elderly outdoors to enhance and improve their physical and mental wellbeing. So they developed a moving route, in collaboration with a physiotherapist, in a public area close to the old age home in question. Follow their progress and learn more about upcoming Your Street Challenges happening in a city near you by checking the website: www.yourstreetchallenge.org. The Your Street Challenge winners are not just dreamers, they’re also doers. Each of the winners will use the money to roll out their idea into reality over course of the next year. All prize money goes straight into the project, no design or management fees are allowed. An exhibition of the winning proposals in the Your Street Eindhoven Challenge can be seen at the Dutch Design Week, which runs from 20 to 28 October 2012 in Eindhoven in the Netherlands.